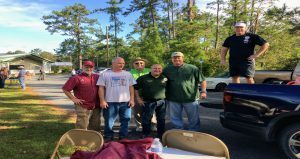 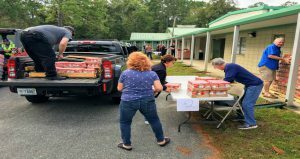 relief efforts and the annual peanut butter collection was replaced by efforts to collect and distribute hurricane relief supplies. 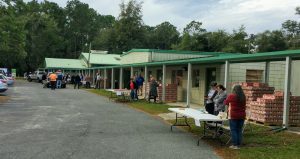 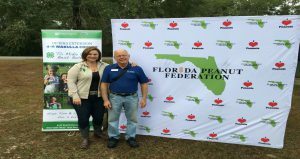 Wakulla 4-H, along with other 4-H groups in the Northwest Florida UF/IFAS Extension District, has participated in the Peanut Butter Challenge since 2012. 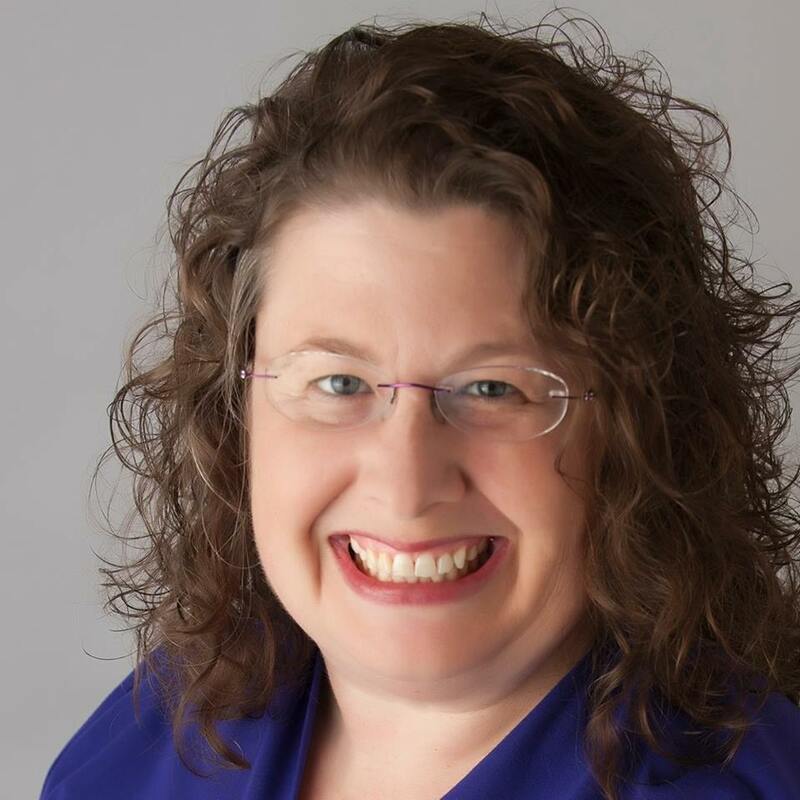 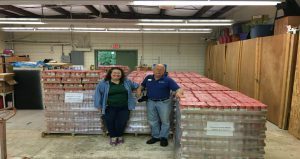 This effort was established to help ensure area residents from Jefferson to Escambia County could stock their pantries with a nutritious protein source appealing to the palates of adults and children alike. 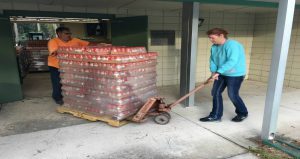 In times of crisis, such as in the aftermath of a major hurricane, peanut butter is one of the most requested food items because it is nutritious, filling, and palate-pleasing to all ages with the added advantage it requires neither refrigeration nor water for preparation. 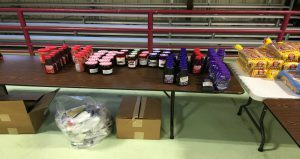 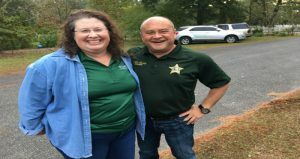 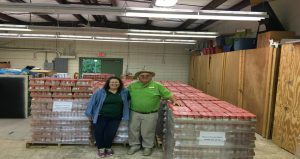 For Wakulla 4-H members, it made perfect sense to partner with Peanut Proud and the Florida Peanut Federation to accept a new challenge after the hurricane of distributing 36,000 jars of donated peanut butter to hurricane devastated counties. 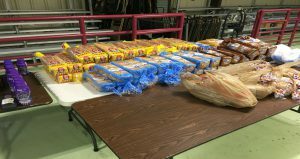 outpouring of aid and support has matched the intensity of the storm’s unfathomable destruction responding with boundless generosity and material support. 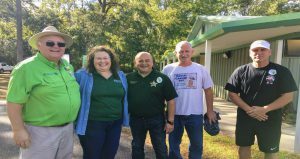 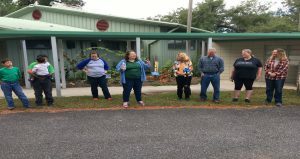 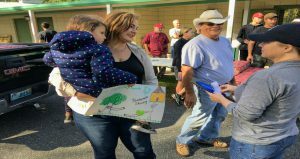 Wakulla 4-H were inspired to move beyond efforts to provide immediate aid-supplies and transitioned to supporting the long term recovery of their neighbors to the west with plans to stock food banks and collect school supplies to replace items lost to the storm. 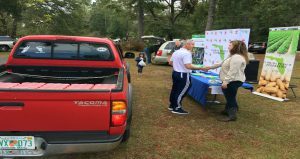 On Saturday, more than two dozen volunteer drivers joined the #PB4Panhandle effort. 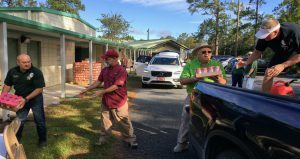 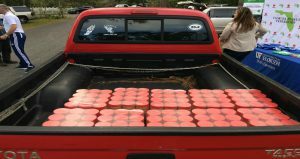 Volunteers loaded drivers with peanut butter to be delivered at food banks and other long term distribution sites in nine counties working to recover from Hurricane Michael. 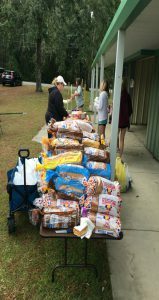 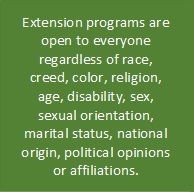 To volunteer with hurricane relief or other Wakulla 4-H programs, please call 850-926-3931 or email r.pienta@ufl.edu.